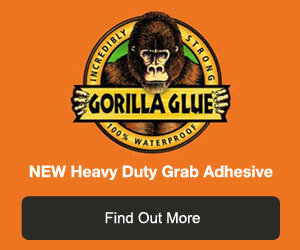 You Are Here: Home > DIY Forum Home > DIY and Home Improvement Forums > Fillers, Sealants and Adhesives Forum > Which glue? I am nearing the end of my bathroom project, and the final job will involve glueing 1.5mm PVC sheet to wooden cupboard fronts, and would like advice on which glue to use. I had EVOSTIK impact adhesive in mind, but ideally I would like to be able to manouvre the PVC into position by sliding it on the glue before it sets. Any advice would be much appreciated. See our project on adhesives used at home. Solvent free Gripfil is the business as far as glue goes for this kind of application. Am a newbie to diy and was wondering if you could tell me which adhesive to use to bond aluminium drinks cans to a sheet of wood. Which Filling Product to use for Filling Top of Skirting?